In folklore and literature, Jack Frost is often portrayed as a mischievous guy, sort of Old Man Winter’s younger self. He’s a personification of everything cold. In our region he’s a busy guy, at least for half of the year. He gets credit for painting the trees orange and yellow and red in the fall. And we’re all familiar with ground frost, that harbinger of winter that looks like a dusting of snow. This phenomenon occurs when the temperature of objects near the ground falls below freezing. Water in the air freezes onto objects, sometimes as what looks like frozen dewdrops, sometimes as branched crystals. » Continue Reading. 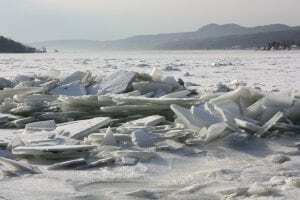 Ice jams in the Adirondacks are a regular occurrence, disrupting the flow of not only the river, but often the lives and residents and visitors alike. Ice jam education and training workshops will be held in several locations around New York State from October 16-20. » Continue Reading. 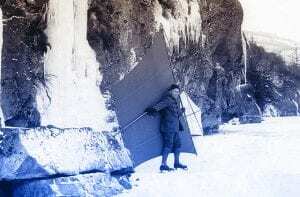 Skating out into Bolton Bay, Ted Caldwell stops to lift a custom-made, kite-shaped canvas sail rigged to ash spars jointed where the mast and boom cross. He hoists it above his head, then brings it down so that the boom rests on his shoulder. Tilting the sail into the wind, he moves off with a steady glide. Within minutes, Caldwell himself is barely visible, a swiftly moving swatch of white canvas against Dome Island. 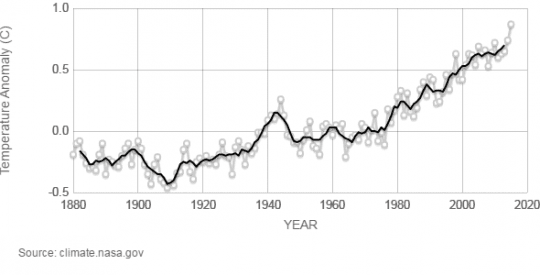 This is what we observed a few years ago, when a long, hard freeze and little snow produced 2 ½ weeks of black ice, the ideal conditions for skating, ice boating and skate sailing. » Continue Reading. 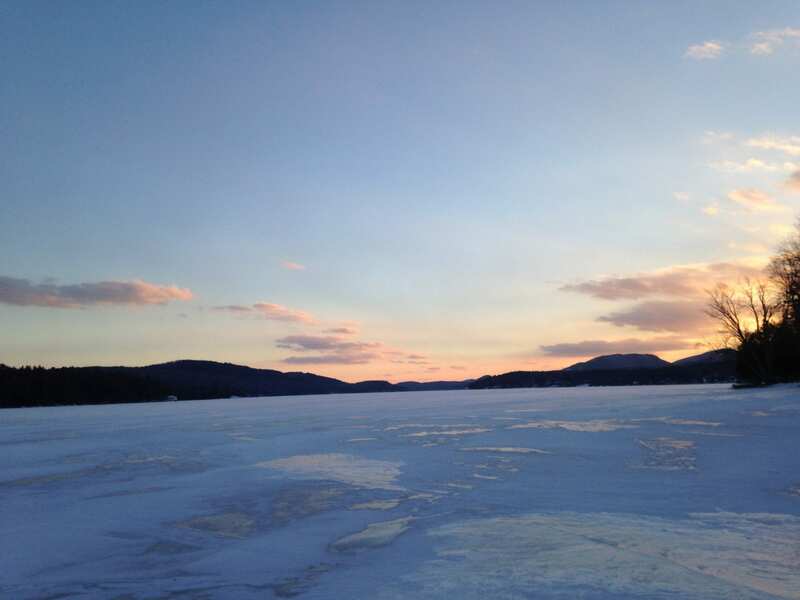 Construction of the Saranac Lake Winter Carnival Ice Palace began Friday, January 27th. Construction involves harvesting ice from Lake Flower, transporting it to the shore and assembling it according to a blueprint. Construction on the palace will continue until the start of the carnival on February 3. The 2017 Winter Carnival will take place February 3rd to the 12th. The Ice Palace is built by volunteers, organized by a group informally known as the Ice Palace Workers 101 (IPW 101). The public is welcome to volunteer and roles are assigned based on comfort level, skill and ability. » Continue Reading. A Franklin County angler died after his utility-task-vehicle broke through the ice on Union Falls Pond, according to state police. Gregory N. Manchester, 59, of Franklin drove his vehicle onto the ice on Sunday to go fishing. He was reported missing the following morning. A state police helicopter flew over the area and spotted his UTV partially submerged. State forest rangers followed footprints to a seasonal cabin and found Manchester lying on the floor, suffering from severe hypothermia. He was unresponsive. It’s believed she became hypothermic and disoriented. Temperatures were well-below freezing Friday night and there is still deep snow in the higher elevations of the High Peaks. » Continue Reading. 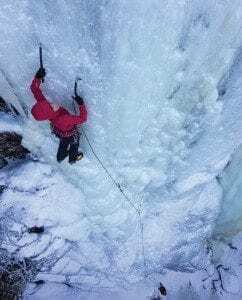 Positive Reinforcement was the first ice-climbing route in Chapel Pond Canyon. Since that winter day in 1982, climbers have established nearly twenty additional routes in the canyon, yet Positive Reinforcement remains one of the best and most popular. Though it’s considered only moderate in difficulty, many variations are possible, some harder than others. » Continue Reading. The bare ground of the trail wound through dead leaves and patchy snow. At a short overhang in the trail, I noticed spiky threads of ice growing up from the soil in crunchy clusters. 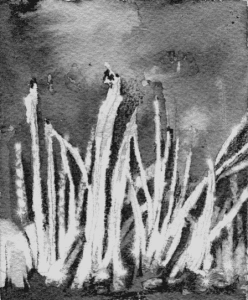 A careless boot revealed how fragile these formations are; the fine ice threads crumbled readily. This was needle ice, a common sight in the woods this winter. Curious about the phenomenon, I got in touch with Dr. James R. Carter, a professor emeritus from Illinois State University. Dr. Carter has spent the last ten year observing these ice formations. 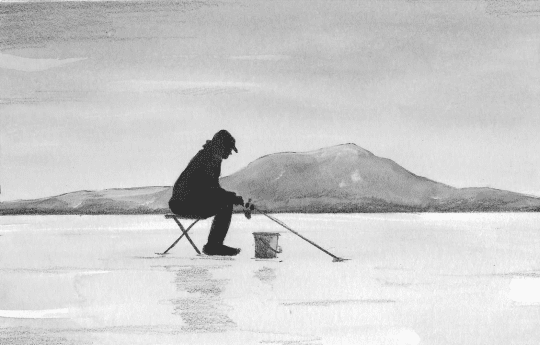 His photographs and descriptions of different examples of needle ice are available here. Carter explained that while needle ice somewhat resembles frost, it is a completely different phenomenon. 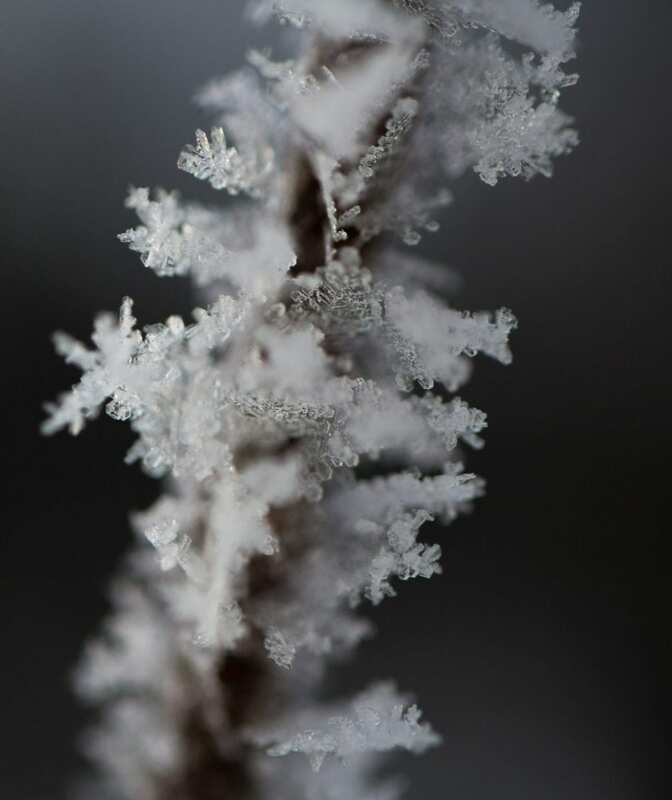 Frost forms when water vapor is deposited onto a growing ice crystal; the water molecules move directly from the gas phase to the solid phase without ever becoming a liquid. Needle ice, on the other hand, forms from liquid water when a process called ice segregation occurs in the soil. » Continue Reading. 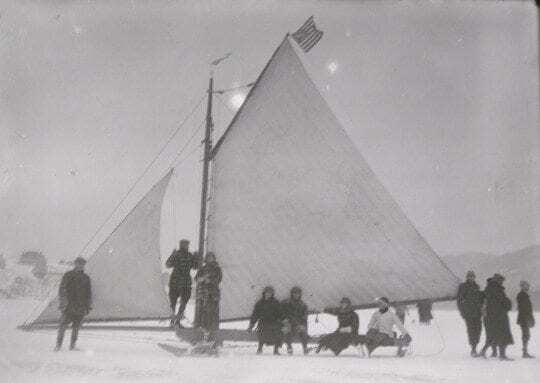 The Lake Champlain Basin Program will present a talk about ice boating on Lake Champlain by Andrew Sajor, an ice boat sailor and earth science educator. The free program begins at 6:30 pm on Thursday, February 25, 2016 in the Lake Champlain Basin Program Office and Vermont Fish and Wildlife Building, 54 West Shore Road, Grand Isle, Vermont, located just north of the Grand Isle ferry entrance. Homemade desserts will be served. For further information, contact the Lake Champlain Basin Program at the LCBP at (802) 372-3213. Photo: An ice boat outing on Mirror Lake. Climate change threatens not only the winter economy of the Adirondacks, but also the cultural identity of the region. Lake Placid twice hosted the Winter Olympics, in 1932 and 1980, and continues to capitalize on its history, attracting a variety of winter-sports events such as the Winter Empire State Games and international skiing and sliding competitions. 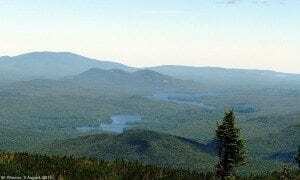 The Adirondack Park has spawned a number of Olympic athletes. Drive through tiny Vermontville and you’ll see signs celebrating that it is home to Billy Demong, who won the gold medal for Nordic combined in 2010. » Continue Reading. Construction on the palace will continue until the start of the carnival on February 5. The Ice Palace is built by volunteers, organized by a group informally known as the Ice Palace Workers 101 (IPW 101). The public is welcome to volunteer and roles are assigned based on comfort level, skill and ability. The construction of the Ice Palace is a community effort by those dedicated to keeping this tradition alive. Volunteers are subject to cold temperatures and inclement weather, all while handling ice and snow. » Continue Reading.